← 10 Master Ideas of Social Networks: brought to you by MACT 2013 Cohort! I was on a business trip in Europe for 9 days. 9 days that I’ve spent without regular Internet access and networking, checking my email and social media accounts only accidentally (yay to Starbucks and Ville de Narbonne for free daily 1-hour Internet access). I had a couple of work-related issues that have happened during my absence and had to be managed quickly in social media channels to prevent potential negative impact on company brand. In addition to that, I had to read different articles (for COMM 506 and COMM 597 courses), as well as prepare written responses to courses topics. It was excruciating, but I’ve managed to resolve the majority of the issues. How? Here’s the quick guide on resolving the work and study-related issues without regular Internet access. 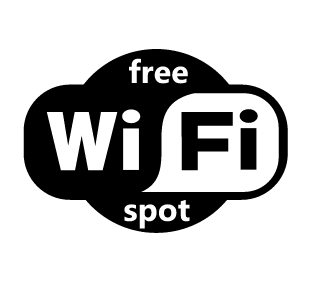 Ask the locals to show you the places with free Internet access (alternatively – look for the Free WiFi sign). Usually the time you can be online in such places is limited to 1 or 2 hours. However, when you’re there, you can check emails, download all the information you need to read and check phone numbers of the people you might need to connect with. Tip: to ensure that all the information you need is accessible offline, do not forget to copy it from a web page to a Word or Pages document. Also sometimes it is useful to create an offline list of email messages you need to answer (don’t forget to write down the email address and the phone of the message author). The free time in the Internet is over. What to do next? Surprisingly, phone is still a communication tool. It seems to me, we get used to rely too much on digital communication tools. I was surprised how many things can be efficiently solved by a simple call to the right person. So, when your time online is over, pick up your phone and call the message sender to answer his or her question that was sent online. You can also call your colleagues and ask to support you with answering some of these emails on your behalf. The latter would work if you have enough social capital. And what about studying part? While you’re still online, copy all the texts you need to read in a Word or Pages document. When you’re offline, read them and write any responses you need to write. Next time you are online, you can copy-paste the prepared texts and publish them quickly in eClass or in your blog. Et voilà! However, the only thing that you can’t do without regular Internet access is networking. Twitter, Facebook, etc. require decent online presence, and there is nothing you can do about it if you have no Internet connection. Do you have any other tips or tricks on performing some job tasks, studying and accessing different information when you are away without regular Internet access? Please, share them in comments – your advices would be super useful for my next trips! Posted on March 29, 2014, in COMM506, MACT, Travels and tagged capt obvious, freeWiFi, howto, social capital, work. Bookmark the permalink. 5 Comments. Although it’s not 100% foolproof and there are some security risks, I like to use cloud storage to save my files (reading and writing). I use google docs, which I’ve made sure sync whenever I have an internet connection on any device. First, it automatically syncs on any device that I use, second, I can write offline and it will sync the next time I’m online. It’s not ideal, but you can schedule Tweets in Hootsuite or TweetDeck. The only thing is you wouldn’t be around to reply to any tweets. So it can be useful in some cases. 9 days is likely too many days to schedule for, but maybe for 2-3 days it could work. Great advice Tanya! The only thing I have to add is make sure you bring all your cables and extra batteries for your wireless devices. I always forget to check the batteries in my laptop mouse or iPad keyboard and inevitably need new ones when away from home. I’m also terrible at remembering cables for charging.